Rich – thanks for an excellent trip. We completed the main mission – Tower Ridge. Really enjoyed your guiding and hopefully we can do Scotland next year on some cracking ridges like the Anonach Eagach, and other classics. Alas now back to accountancy! We had an excellent trip with great weather and a decent amount of snow, I’ve never seen the summit of Ben Nevis so many times in a week. Owen was very good both in terms of the quality of his teaching and the progress we made in only 5 days. I expected we would cover basic skills and end the week having climbed a few snow gulleys with simple snow belays, but by day 3 we were climbing a mixture of snow and rock and placing rock protection. On the final day we climbed Fiaciall ridge with a mixture moving together on the ridge and pitched climbing for the final section. This was beyond what I expected we would cover in 5 days and is exactly the kind of winter climb we have been aspiring to. That said, the speed with which we covered the skills and techniques was pitched very well with all of us now feeling confident that we’ve had enough practice to be able to go out and try some similar routes on our own. What an amazing 4 days on the Ben with Rich – Orion Direct, Minus Two Gully, Gemini Direct and then back onto Orion Face for Astral Highway. Amazing weather, conditions and craic! If you are a small group looking to learn some winter skills, teams of up to 4-6 people work best. 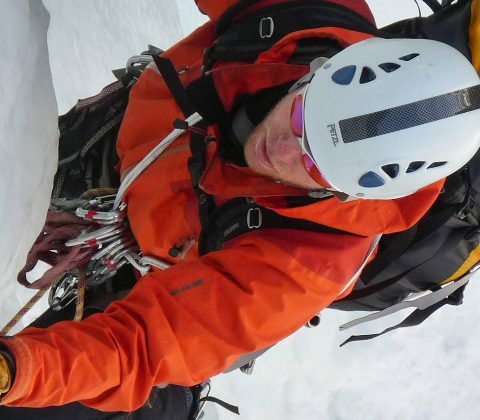 For general mountaineering and intermediate skills – teams of up to 3 people. 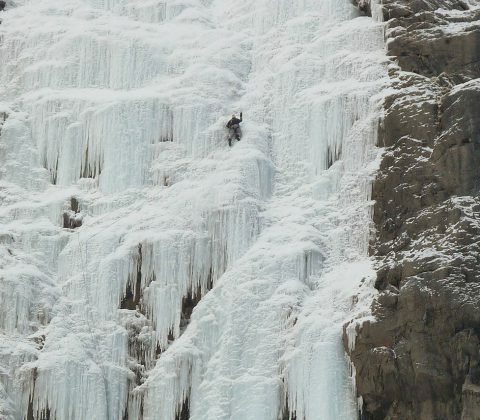 For coaching in ice/mixed climbing techniques and guiding up to grade 4/5 – teams of 2 people. For longer/more involved routes in the harder grades – 1:1 guiding. We will work with you to create a suitable itinerary at your preferred venue, ideally with some built in flexibility to suit the weather and conditions. You simply pay the guides daily fee in advance, then cover the guides and your own expenses as you go during the trip – these can be split between your group. Please contact us to discuss your plans and by return, we will provide an (obligation free) outline itinerary, guiding fee quote, and an estimate of all expenses. Private guiding is suitable for any ability, however, your group should be well matched in terms of fitness and ability, so everyone can make the most of their holiday. The Scottish winter season extends from December to late April, with the most reliable conditions occurring mid-season. For ice climbing on Ben Nevis however, April can often be the best month! You are responsible for organising your accommodation at the venue – we are happy to make some recommendations to suit your budget. Please get in touch to discuss your aims and objectives, and we will be happy to create an outline itinerary for you. We strongly recommend that you purchase cancellation cover, in case you’re unable to attend your trip due to personal circumstances or injury. Search and rescue is currently free in the UK, but you may be charged by the NHS for certain treatments, and you should also consider the need for emergency repatriation in the event of a serious illness/accident.